Electricity Distribution over long lines suffers a voltage drop. 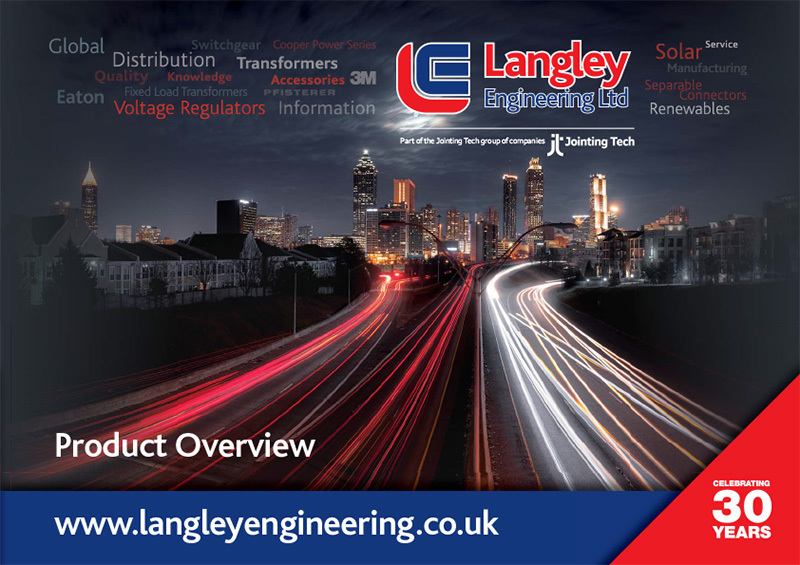 Traditionally this has been partly addressed in the UK by re-conductoring or by building more primary substations closer together or occasionally fitting very large and expensive locally manufactured three phase ground mounted voltage regulators. Our Cooper Power Systems designs can be used in either open delta (two unit) or closed delta (three unit) configurations to give respectively 10 or 15% regulation. The rapid growth of renewable energy projects providing embedded generation for distribution networks also introduces voltage imbalance. 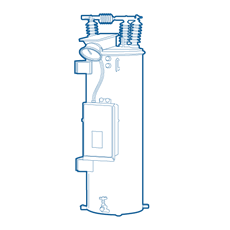 A pole mounted voltage regulator bank can resolve these issues and can be set up to automatically address abnormal voltage swings and reverse current flow. The Cooper Voltage Regulator is now well established in the UK 11kV distribution network with well over 150 banks, and in recent years this has been extended to the 33kV network with ground mounted open substation installations. Although these devices are fully automatic there is a move by Utilities to fit SCADA capability to enable useful information to be accessed remotely or remote tapping to neutral to allow circuit re-configuration.